Aluminum in foods and cookware have been associated with Alzheimers and other neurological disorders. Commercial baking powder contains alum, so to make your own alum-free powder, combine the following ingredients well and store in a jar. My baking powder doesn't say anything to do with aluminium in the ingredients...how can I tell? 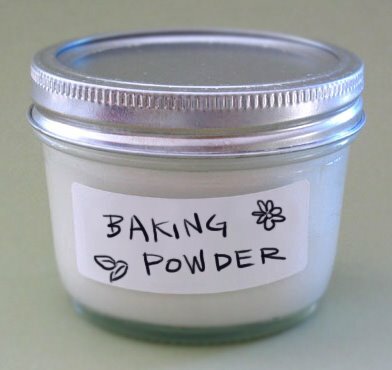 If your baking powder has aluminum it can be in the form of "sodium aluminum phosphate" or "calcium aluminum phosphate" or "sodium aluminum sulphate." 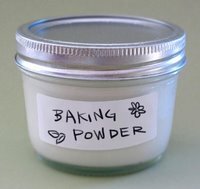 Without knowing the ingredients in your baking powder, it sounds like if you don't have any ingredients with the word "aluminum" or "alum", it should be fine! Here's a Wikipedia entry about baking soda and aluminum. Thank you for this info, I will have to try it. Great site.